When music, when art, when anything surfaces in our world that is not altogether comprehensible in its unique outward appearance and its enigmatic origins and if it is skilfully done and compositionally brilliant, much like the multimedia microcosmic way in which Bristol-based producer IGLOOGHOST's debut album for Brainfeeder, Neō Wax Bloom, voyaged from a human brain into something that creates a reflection of itself in the human brains that hear its maximalist output, when something like this arrives, naturally everybody wants to know everything about it, and like a less negative version of the Buddhist parable of the poisoned arrow soon a hungry and curious mind wants to learn all they can about the creator; information lies only with them, whilst mere speculation lay elsewhere, thus conjuring a certain amount of power for the creator. Or is it pressure? Whilst the choice to divulge – or not – background information regarding the framework and foundations of art allows the artist control over how openly the art itself can be perceived, revealing too much information breaks the spell of intrigue, careful imagery becomes too human, too fallible. 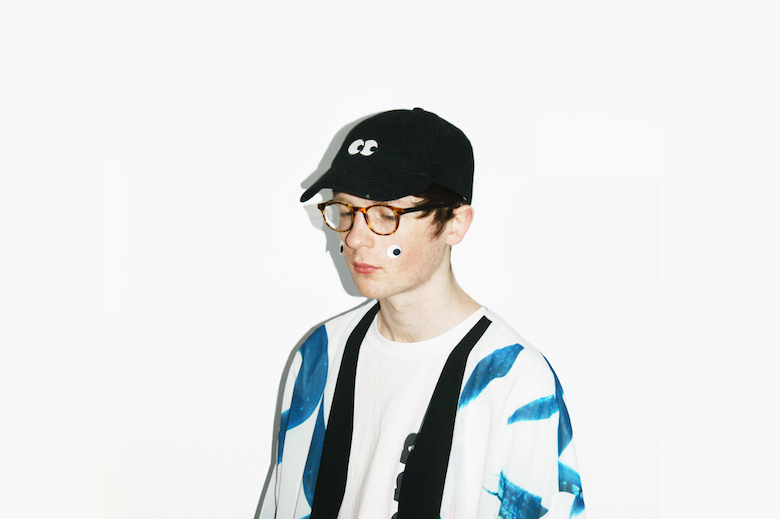 The lazy interview seeks only to hold a mirror up to the artists who venture through its question marks, and in its plain glassy surface is IGLOOGHOST, an entity, both progenitor and product of his music, a deliberate cryptid, not a composer nor a producer, but very much half-absorbed by his own creations, almost not of this world. And therein lies the strength of Neō Wax Bloom, not only in its music that cuts the air and judders atoms into cosmic ketchup and inaugurates floods of dopamine excitement in the brain, but also in its extended world, the story that it unfolds, the artwork and the characters depicted in that artwork; it is a powerful raving monster. I'M IN MY GOLDEN MANSION DOING SCHOOLWORK. I WANNA DROP OUT OF SCHOOL. BUYING GROCERIES FROM LIDL LISTENING TO EIGHT LINES BY STEVE REICH FOR THE FIRST TIME. I WANNA MAKE FIGURINES, INTERACTIVE EXHIBITIONS & A CARTOON. 🔔 This piece of writing follows the release of Neō Wax Bloom on 29th September via Brainfeeder. You may attain it for yourself digitally and physically by clicking these hyperlinked words.